What is CT Cardiac Calcium Score? This examination can help assess the risk of a possible cardiac event within five years – the more plaque the higher the risk of an adverse cardiac event. CT Coronary Calcium Score generates a numerical score, which has been shown to be much more accurate at predicting risk than standard risk factors (blood pressure, cholesterol, diabetes, age, etc). 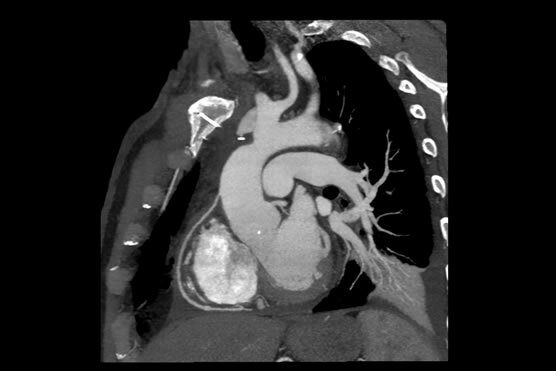 Who should have a CT Cardiac Calcium score done? A CT Calcium score study is generally used to assess asymptomatic patients with moderate risk of coronary heart disease. CT Calcium Score is not suitable for patients with established coronary disease, clinical history of heart attack or stent insertion. Preparation information will be provided at the time of making your appointment.